Innovation and the courage to embrace new ideas have always been brand values of Austria’s traditional brewery. 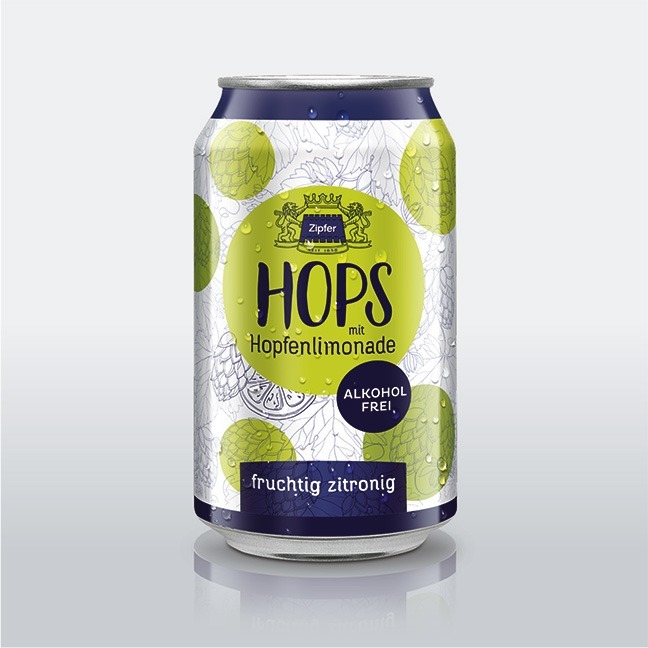 Zipfer emphasizes these values once more with HOPS – the first shandy with hops lemonade that will be available in horeca and food retail throughout Austria. The lemony fruity taste comprising of three quarters hopped lemonade and one quarter non-alcoholic Zipfer beer meets today’s zeitgeist – not too sweet and refreshingly sparkling. The outcome could already convince testers in the first tastings. Packaging design specialists Pichler & Gattringer based in Linz developed the packaging for the modern urban drink. The visual implementation arised from the product idea. 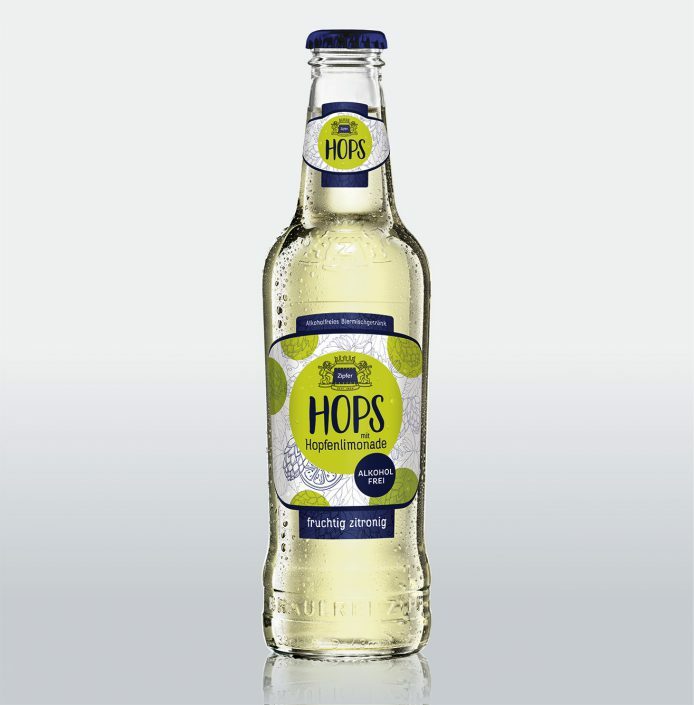 It puts the shandy with natural hops lemonade in the limelight in a young and refreshing way. The challenge was to create an unmistakable Zipfer product that stands out from the beer selection at the same time. 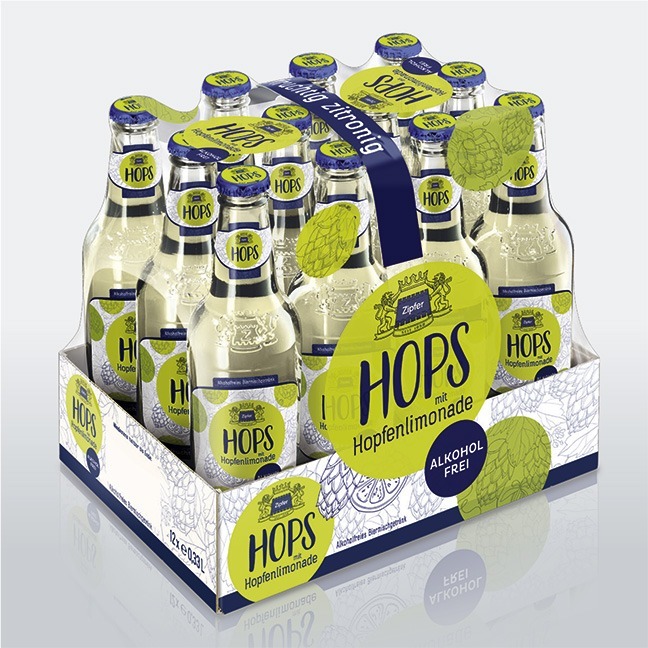 The unique colouring, the natural green tones on a warm white background and the typical Zipfer blue create the connection between Zipfer natural hops and fruity fresh taste. The slightly greenish shimmering, clear bottle immediately visualises the authenticity. The label printed on uncoated natural paper emphasizes the naturalness.